I have been impressed with two factors in the martial arts, knowledge and speed. I believe a true master is one who can demonstrate what he is talking about, and to do so with great speed. One of my instructors comes to mind without hesitation – Phil Milner. I would like to acknowledge all my past instructors, but more importantly to me is Sensei Phil taught me the true value of humour, honour and pride. 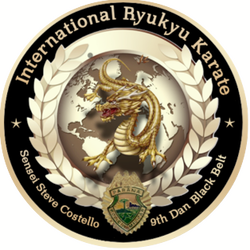 The training with Phil was more aggressive and demanding, and that the first Black Belt you gained from sensei Phil, you knew that you had earned it. There were no short cuts, and I am honoured that he named me ‘The Headhunter’.